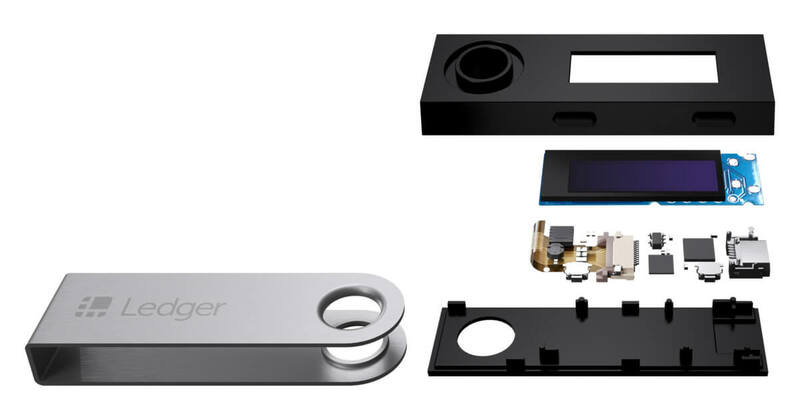 The Ledger Nano S is built around a secure chip, ensuring the highest security to date. Protect your crypto assets with the most popular multi currency hardware wallet in the market. State of the art Security: Your private key giving access to your coins is never exposed. It is protected within a secure chip locked by a PIN code, the same chip than the one used for passports and credit cards. 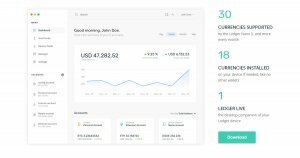 Multicurrency: The Ledger Nano S supports 30 cryptocurrencies, including Bitcoin, Ethereum, Ripple and Altcoins, allowing you to manage multiple assets with the same hardware wallet. Simplicity: The device is controlled by only 2 buttons, and all actions can be verified on its screen. 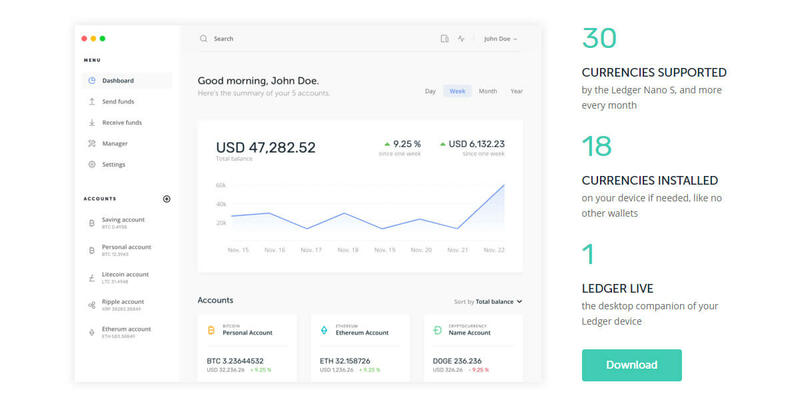 And the Ledger Live computer app enables you to easily manage your crypto transactions. 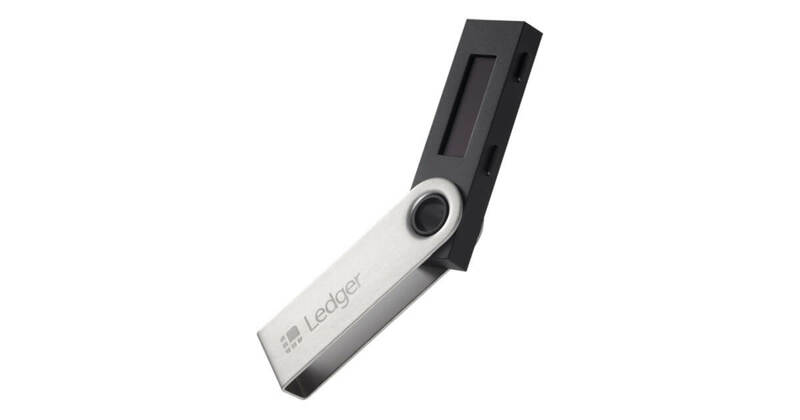 Back up and restore: Your crypto assets stay secure even if you lose your Ledger Nano S: your 24 key words are backed up on a recovery sheet, and your account(s) can easily be restored on any Ledger device. Materials: Brushed stainless steel and plastic. No battery required. Compatibility: Windows (7+), Mac (10.8+), Linux. 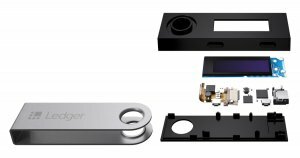 Requires one USB port to plug your Ledger Nano S.